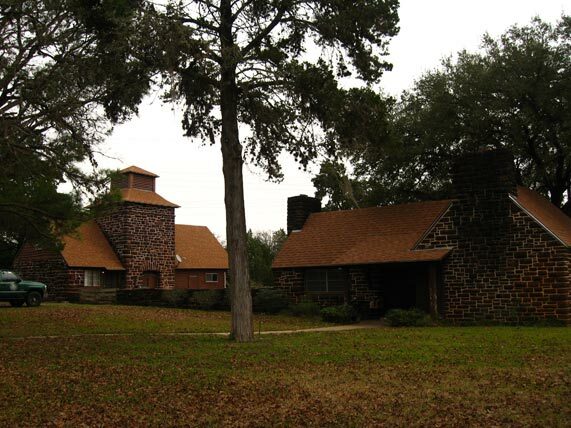 The CCC originally constructed these two buildings to serve distinct purposes. But by 1937 the enrollees had remodeled them to take the place of the keeper's house, which was designed but not constructed. The tool house (foreground) became the keeper's house; the pump house (background) was enlarged to incorporate a garage. The walls of both buildings are a coarse sandstone block laid in a random pattern.